Have you been considering offering sensory storytimes at your library or doing outreach to a school serving children with developmental delays? Maybe the reason you’ve hesitated is because you feel unprepared. I get it: Sensory storytime can seem intimidating, with its own particular structure and style. But this is an incredibly important area of service for any library to undertake, reaching children who often otherwise feel unwelcome in a storytime space. Six years ago, Ashley Waring wrote a wonderful how-to guide for sensory storytime that remains one of ALSC’s most popular blog posts to date. 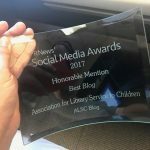 My post is in no way meant as an improvement on Ashley’s work; instead, we thought it would be great for library professionals – especially those hesitant to offer sensory storytimes – to get an update. In addition to offering some tips for how to run your own sensory storytime, either in the library or at an outreach visit, I’ll offer some book suggestions, as I know from personal experience how difficult it can be to find recommendation lists. Have a visual schedule. Visual schedules tell participants what to expect during storytime. This is especially important for children with developmental delays, who often find transitions difficult. Each element of your storytime should have its own easily-identifiable graphic. (Ashley’s post includes a great example.) You can also help children by providing verbal cues about what’s going to come next, i.e. : “We’re going to sing one more song, and then it’s time for our story.” Keep these cues simple, though, with no more than the next 2 steps mentioned. Repeat, repeat, repeat! Not only does this mean it’s appropriate to keep songs and stories the same for multiple storytime sessions, but you should also keep certain elements of the storytime consistent from week to week. For instance, having the same welcome and goodbye is really important, as children will be more comfortable if they know what to expect. Consider keeping your other song selections the same, on a rotating basis, as well; when I do storytime outreach, I bring the same 12 song cards every week and allow each class to choose 4-6 to sing. It’s okay to shorten stories. Generally speaking, one or two books are plenty for sensory storytimes, but some stories run a bit long. In those cases, it’s okay to paperclip a few pages together and skim over sections – as long as it doesn’t turn the book into nonsense, of course! Have designated spots for each child to sit. If you’re holding the storytime at your library, it’s a good idea to have carpet tiles or cushions for each child, so everyone has their own space. Keep it small. I know we often have to justify programming with those high participant numbers, but sensory storytime is one thing that needs to stay small. A ten child maximum is ideal, but I definitely wouldn’t allow more than fifteen into a program. Turn it down. Children with developmental delays often deal with sensory processing issues, so florescent lights and loud noises can be overwhelming. Dim the lights and keep the volume low to make sure these participants feel comfortable. Make it interactive! Children who attend sensory storytimes often have a difficult time staying focused on one thing for extended periods of time. (So do I, for that matter.) Break things up with songs, fingerplays, scarves, egg shakers, bean bags, and/or bubbles so children are engaged. It’s also a good idea to have fidgets available for children who don’t have their own. These can be textured balls or bracelets, bendable or squishy toys, etc. Depending on your library’s policies and funding, you can either purchase fidgets or create your own. That means books, too. Some books are already interactive in and of themselves (Hervé Tullet’s titles are a great example), but you can make others interactive by adding props or creating felt pieces. 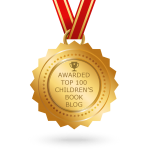 Below, you’ll find a list of some of my favorite sensory storytime titles. Fans of Nicola’s Open Very Carefully will recognize Carter the crocodile, who’s lost and needs help finding his way home. Children are asked to trace shapes – I typically have everyone simply draw the shape on the floor or in the air – and imagine Carter’s perfect habitat. Verbal children can answer questions about said habitat – Is it wet or dry? Is it hot or cold? The story has the same mystical quality as Christie Matheson’s sensory storytime favorite, Tap the Magic Tree. 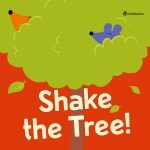 One of my personal favorites, Shake the Tree! is about a mouse who really wants a nut – and the antics that follow when he tries to shake it out of the tree. 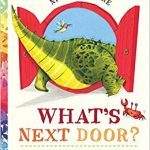 Verbal children will have fun identifying the animals and guessing what will happen next, while non-verbal children can help shake the book to make the magic happen. 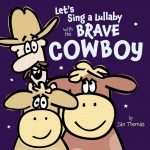 Full of the zany surprises typical in Jan Thomas books, Let’s Sing a Lullaby with the Brave Cowboy features not only a sweet lullaby – repeated throughout the story – you can sing to the kids, but also opportunities for verbal responses as the cowboy imagines terrifying things lurking in the dark. 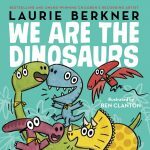 I’m sure we’ve all heard Laurie Berkner’s classic “We Are the Dinosaurs,” but you might not be aware it was published as a picture book just last year! I’ve used this story in sensory and toddler storytimes, either simply marching along to the beat or with the addition of egg shakers. 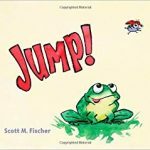 A particularly fun title if you’ve got kids who are antsy and need to get moving, Jump! is exactly what the title suggests: a story to jump to! Children will have fun mimicking the various animals in the story as they jump to escape becoming the next animal’s dinner. Be sure to keep your audience in mind, though: Some children may not be able to jump, and while younger/smaller participants could be lifted by caregivers, this option may not work for everyone. 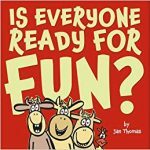 Another fun one from Jan, Is Everyone Ready for Fun? follows three cows as they get up to shenanigans on Chicken’s sofa. You can encourage children to jump, dance, and wiggle along with the cows. Again, keep your audience in mind. If you’re just beginning and aren’t sure of your exact audience, perhaps save this title until you get to know participants better. 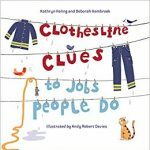 A fun story for learning about community helpers, this book is always popular with verbal children who can guess the helper by their clothing. Features mail carriers, artists, chefs, and more! Another fun guessing game for verbal children, First the Egg allows participants to guess what comes next in each transformation. From egg to chicken, tadpole to frog, seed to flower, this is an especially good read for the spring. 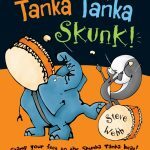 If you’ve never read Tanka Tanka Skunk!, you’re missing out. 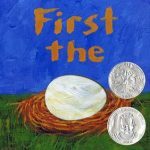 It’s a great story for teaching kids about rhythm, which makes this the perfect time to pull out the egg shakers (and maybe even a hand drum) so everyone can “keep the beat” while you read. 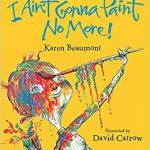 Besides being incredibly fun to sing, I Ain’t Gonna Paint No More is a great props story! 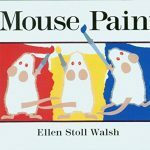 Grab some paintbrushes (sans paint, of course) and encourage children to “paint” body parts along with the child in the story. Have caregivers handle the brush for children who aren’t able to hold one on their own. 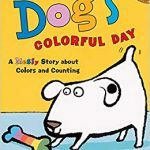 For this colorful story, I love to use a laminated image of Dog (you can find a similar image here or create your own if you’re feeling artistic!) and have each child apply a dot. You can use washable paint/markers or simply apply dot stickers. If going with paint/markers, have one child use a baby wipe to “clean” Dog at the end of the story. If you’ve got the time and supplies, Mouse Paint makes a great felt story. You need 6 mice (3 white + 1 yellow, 1 red, 1 blue) and some paint puddles. Puddles can be simply red, yellow, and blue, if you’d prefer to make mice feet in your mixed colors; however, for my set, I created additional mixed puddles (purple, green, and orange) and skipped the mice feet. 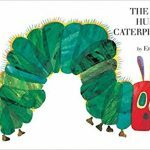 When I read The Very Hungry Caterpillar for sensory storytime, I bring along what I personally think is my best prop: A tissue box decorated with images of the caterpillar and various laminated food images for the children to feed him. You can create something similar using boxes, paper bags, even cylindrical snack containers. I plan to do something similar with Simms Taback’s There Was an Old Lady Who Swallowed a Fly next. Feeling extra crafty? You can make a caterpillar out of a sock and sew plush foods to feed him! Looking for more information on conducting sensory storytime? 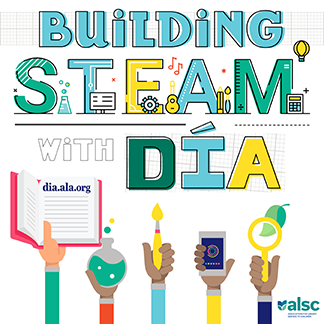 This ALSC post from 2016 includes a great resource list! This post addresses the following ALSC Core Competencies: I. Commitment to Client Group and III. Programming Skills. Oh my gosh this article is amazing!! I’m trying to start a sensory storytime at my library and this is such a great resource and inspiration for new ideas! !